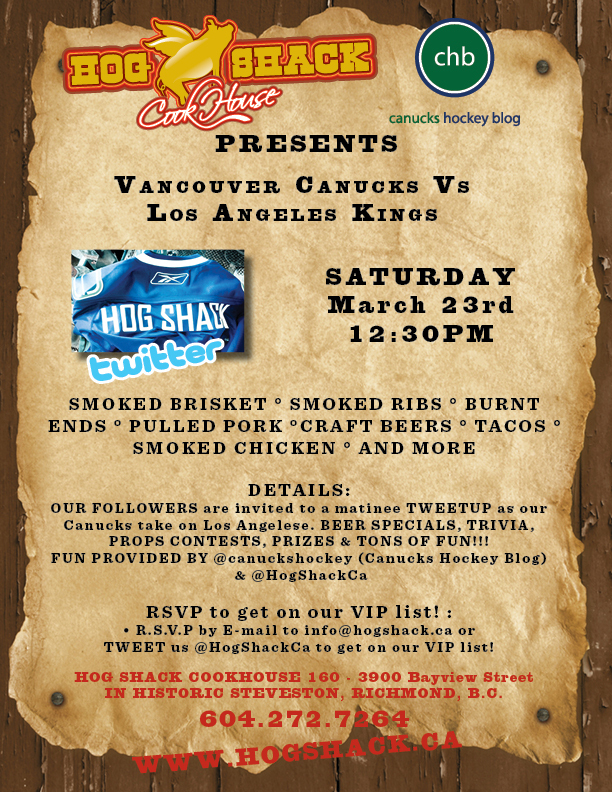 On March 23rd, we are excited to hold a Tweetup with Vancouver Canucks Hockey Blog. Details in our poster! Reserve a table soon!